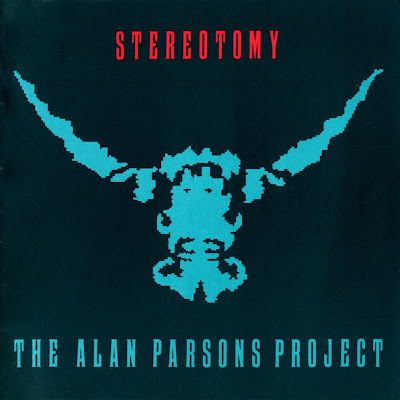 Stereotomy is the penultimate album by The Alan Parsons Project. Although generally considered better musically than its predecessor, Vulture Culture, it was not as successful commercially, perhaps due to much fewer vocals from Eric Woolfson (he only appears on a small section of the title track). The album is structured differently from earlier Project albums, containing three lengthy tracks (one the longest instrumental the Project ever made) and two minute-long songs at the end. It is a full digital production and the CD release was encoded using the two-channel Ambisonic UHJ format. The original vinyl packaging of the album was different from all the reissues: it featured somewhat more elaborate artwork of the paper sleeve supplied with a special color-filter oversleeve. When inserted, the oversleeve filtered some of the colors of the sleeve artwork, allowing four different variations (2 per side) of it. That was supposed to symbolize visual stereotomy. In the reissues, only one variant remained. 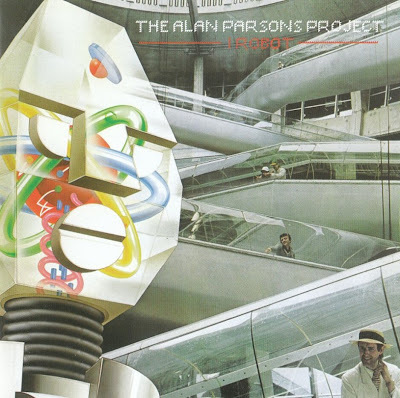 Vulture Culture is an album by The Alan Parsons Project. The first side of the LP (CD tracks 1-4) consists entirely of four-minute pop songs, and the second side varies widely, from the subdued funk of the title track to the bouncing, desert-like "Hawkeye". At the beginning of 1985, the single "Let's Talk About Me" reached the Top 40 in Germany (where the album was #1) and in the Netherlands. The song features voice-over commentary from Lee Abrams, credited on the album as "Mr. Laser Beam" (an anagram of his name). Originally, the album was intended to be the second LP of a double album, with Ammonia Avenue being the first. "Sooner or Later" was recently described by Parsons himself as, "the third attempt to try and get another hit with the "Eye in the Sky"-esque chugging guitar line - "Prime Time" from Ammonia Avenue was the second, which I thought was a little more successful in that respect." The song "Hawkeye" is an instrumental but does contain a line from Monica, a woman working at the canteen in Abbey Road Studios. The line she says is: "Only what's on the menu". 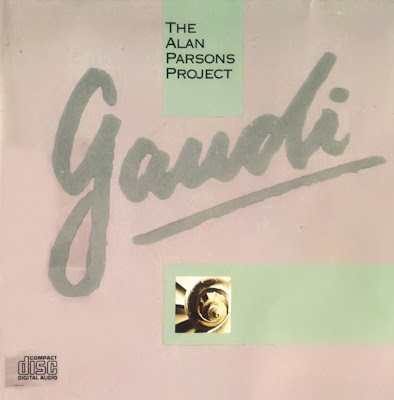 This is the only Project album that does not feature the orchestration of Andrew Powell. 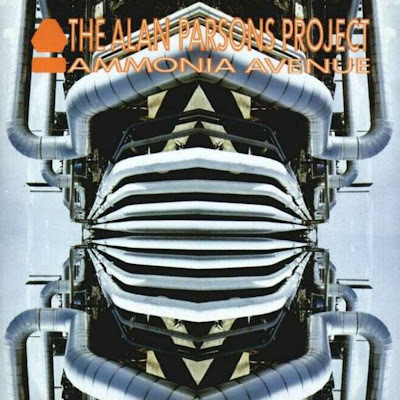 Ammonia Avenue is one of the most commercially successful albums of The Alan Parsons Project. It was the second of the group's three most accessible albums, beginning with Eye in the Sky and ending with Vulture Culture. Ammonia Avenue was originally intended to be released as a double album with Vulture Culture's material forming the second record. The Phil Spector-influenced million selling smash "Don't Answer Me" was Ammonia Avenue's lead single. "Prime Time" was a follow up release that fared well in the top 40. "Since The Last Goodbye" and "You Don't Believe" were also minor hits. Music videos for "Don't Answer Me" and "Prime Time" were produced in 1984, the former with art and animation by MW Kaluta. The title of the album was inspired by Eric Woolfson's visit to Imperial Chemical Industries (ICI) in Billingham, England, where the first thing he saw was a street with miles of pipes, no people, no trees and a sign that said 'Ammonia Avenue'. The album focused on the possible misunderstanding of industrial scientific developments from a public perspective and a lack of understanding of the public from a scientific perspective. Songs on this album are in a number of different styles, from cool and funky to lyrical and heavily orchestrated. The sleeve was green with an image of the Eye of Horus, which was gold-foil stamped for early pressings of the LP. It is variously reported as their best-selling album, and was the last Platinum record from the band (joining I Robot and The Turn of a Friendly Card). Vocal performers were Eric Woolfson, David Paton, Chris Rainbow, Lenny Zakatek, Elmer Gantry and Colin Blunstone. 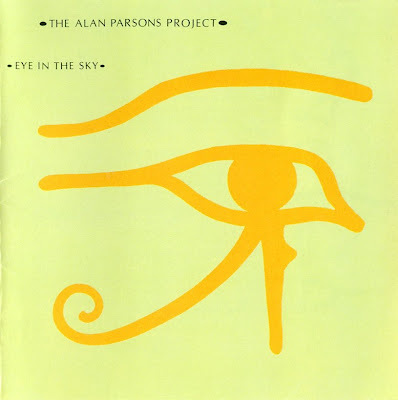 Eye in the Sky contained the Project's greatest hit, the title track with lead vocals by Eric Woolfson. It hit #3 on the Billboard charts in the US in October of 1982 and #6 in Canada. Says Parsons of the song, "...I hated the song when we first started recording it — I was quite ready to drop it altogether. Then we hit upon the hypnotic guitar chugs and it all came together." 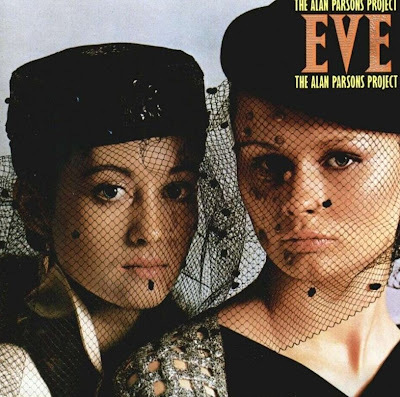 Eve is a progressive rock album by The Alan Parsons Project. It was released in 1979 (see 1979 in music). Eve's focus is on women and men's attitudes towards them, and was notable as the only time a Project related recording featured lead female voices (Clare Torry and Lesley Duncan). Originally released in audio cassette format; the two sides of the cassette opposed each other thematically, castigating women on one side and praising them on the other. 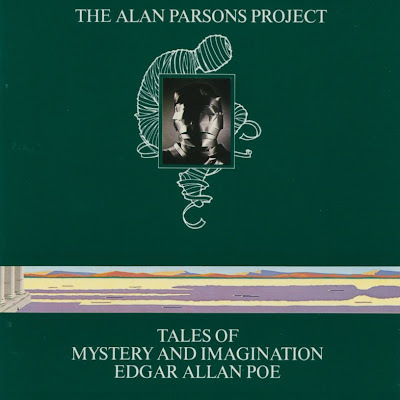 On later Alan Parsons releases, "Mr Time" (from Try Anything Once - Jacqui Copland) & " Call Of The Wild" (from The Time Machine - Máire Brennan) featured lead female voices. The album Freudiana (intended to be the Project's eleventh album but released as a solo Eric Woolfson album) also featured lead female vocals. 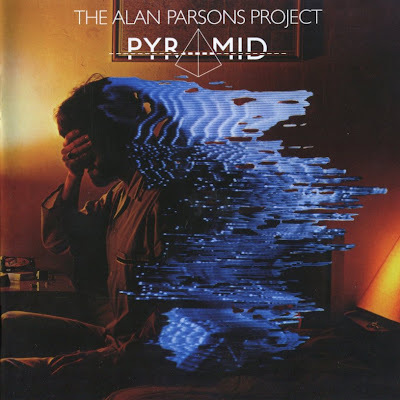 Pyramid is a progressive rock album by The Alan Parsons Project. It was released in 1978. At the time the album was conceived, interest in pyramid power was very high. The album contains numerous references to the Egyptian pyramids. This is most notable in the songs "What Goes Up" and "Pyramania".